As one of the most controversial credit cards on the market, the First Premier Bank Classic MasterCard offers a straightforward proposal for consumers on rocky financial paths. Qualify for this card, pay some significant fees, and get a small line of credit from a lender that furnishes data to all three major credit reporting agencies. It's an expensive trade that only makes sense for a very small percentage of Americans. 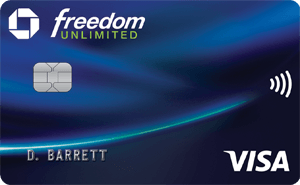 This card charges an upfront processing fee, something that very few credit card issuers do. In this card's terms and conditions statement, First Premier explains that the fee helps offset the significant risk attached to issuing credit cards for poor credit. Although the bank once allowed new cardholders to bill this fee to their accounts, federal rules now prohibit the practice. Therefore, you'll need to pay the fee before you even receive your new card. Many other lenders waive their credit cards' annual fees during the first year. This card actually does the reverse: the first year's fee is nearly double the annual fee you'll pay in future years. Although the card carries no rewards or rebates, the annual fee falls into the same range usually applied to cash back cards or rewards cards. In addition, a maintenance fee that costs more than a few fancy lattes lands on your tab every month. A very high APR will make you think twice about letting a balance linger beyond your grace period. This card is best only for consumers who need to start rebuilding credit after breaking off relationships with other major lenders. Seeing the value in a card like this requires understanding how companies consider information on your credit report when extending personal loans, underwriting insurance policies, or even evaluating an employment application. This account works like a defibrillator on the stalled heart of your credit history, giving you at least one credit reference you can point to when talking to prospective lenders or employers. Our credit history counts for more than ever before, and First Premier offers consumers with very poor credit profiles the opportunity to rebuild -- at a price. Credit utilization, on-time payments, and length of credit relationships all play important roles in calculating your credit score. If you intend to use this account to boost your credit score with this account, plan on using it sparingly and paying your balance in full every month. After you have successfully rehabilitated your FICO score with a secured card, you even get your deposit back. Recognize that you'll also have to stick with this card for at least a few years, since closing your account can cause the kind of credit score drop you're trying to avoid. It's hard to find a major credit card that gets worse rankings from reviewers and consumer agencies than this card. First Premier makes an easy target because it actually operates within all federal and state guidelines for credit card issuers, while taking them to extremes. However, we've seen far worse offers from upstart banks, usually marketing predatory lending products by mail to consumers who recently experienced bankruptcy, foreclosure, or repossession. Fortunately, many retail banks and credit unions provide secured credit cards that can help you rebuild your credit profile with far fewer costs. At national banks like Wells Fargo and Bank of America, your total security deposit and first year's account fees only cost a little more than First Premier's nonrefundable service charges. Capital One uses its own database to determine whether you can qualify for a partially secured credit card, also at a much lower cost than First Premier. This card is best for consumers with a bad credit history who would like the convenience of a credit card. Should you switch to the First Premier Bank Classic MasterCard? No, but we can't make that decision for you. 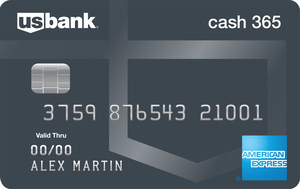 First Premier Bank discloses every fee, service charge, finance charge, and discretionary cost related to this card. They make no attempt to hide what this card costs. As Curtis Arnold pointed out in a 2010 commentary, it's ultimately up to you to decide whether it's worth spending money on fees in exchange for a pristine trade line on your credit report.